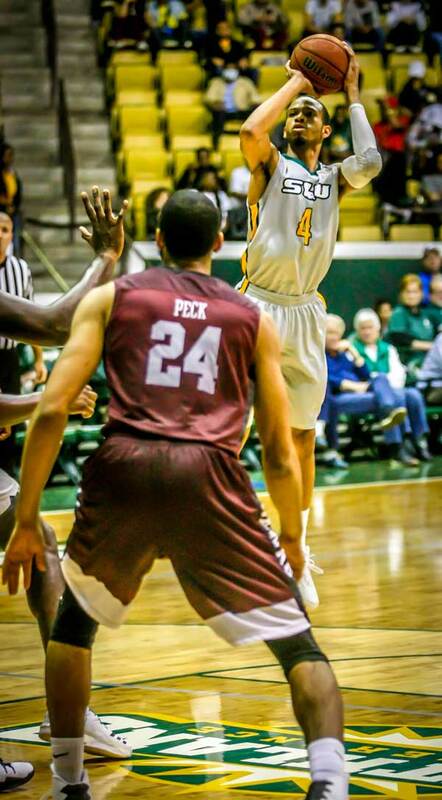 Thank you for visiting the website for Jay Ladner Basketball Camps at Southeastern Louisiana University! We offer multiple camps for both teams and players of all ages and abilities. Whether you are looking to improve your game and receive high quality instruction from a college coaching staff, or to showcase your skills with the hopes of bringing your game to the next level, we have something for you! 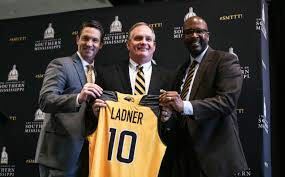 Jay Ladner Basketball Camps at the Southeastern Louisiana University are open to any and all entrants and are only limited by number, age, grade level and/or gender in accordance with NCAA rules. "Famous for outstanding fundamental instruction"
SLU Head Coach Jay Ladner and the SLU coaching staff will direct the camp. Camp staff will include experienced high school coaches and SLU players will serve as camp counselors. "The Premier Teaching Camp in the Gulf South"
An Athletic Trainer is on duty at all times. *Courts are hardwood and fully air conditioned. Our staffers will run a camp bank so that campers will not have to keep up with their own money during the week. At our camp concessions, campers will have the opportunity to purchase an assortment of snacks, drinks, & gear. Any money left over at the end of camp will be paid out in full at check-out. There will be an administrative fee of $5 per session OR $25 per week for All American Basketball Camp cancellations, with the remaining balance being refunded in a timely manner. Please note that any service fees associated with online registration are non-refundable. *The Jay Ladner Elite Camp is an intensive camp for players who are very serious about playing basketball at the next level. The SLU Coaching staff will be in attendance running all of the drills and instructing the campers with a “hands on” approach. *Registration is on a first come, first serve basis. Since this camp has a limited number of spots available, you must submit a full application along with payment in order to reserve a spot. What to bring: Campers should bring gear appropriate for basketball play (athletic jersey or shirt, athletic shorts, socks, basketball shoes, etc…). Supervision: SLU Coaching staff will be on the court supervising campers at all times. Medical Staff: An Athletic Trainer is on duty at all times. *Court is hardwood and fully air conditioned. Cancellation/Refund Policy: There will be an administrative fee of $10 for Elite Camp cancellations, with the remaining balance being refunded in a timely manner. Please note that any service fees associated with online registration are non-refundable. *The purpose of our team camp is to provide a safe and competitive setting in which players and teams can improve through coaching and competition. There is a strong emphasis on individual skills, teamwork, and sportsmanship. 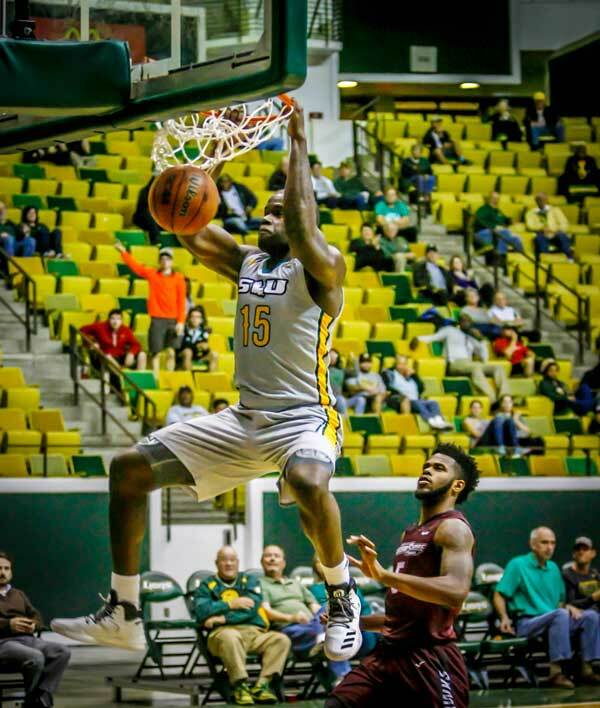 *Each coach will have the opportunity to coach his team over the course of several games and the SLU coaching staff will be available as well to offer encouragement and instruction to the campers. We hope that each camper comes away with both improved skills and a better understanding of the team concept. Sign-in: Sign-In will be in the main lobby of the Pennington Center. Teams must sign into camp before their first game of the day. Teams should plan to arrive at Sign-In ONE HOUR before their first game of the day. Transportation: Teams must provide all their own transportation. No bus or shuttle service is provided by the camp. Parking passes WILL be provided. Supervision: SLU Coaching staff and players will be on the court supervising at all times. Cancellation/Refund Policy: There will be an administrative fee of $30 for Team Camp cancellations, with the remaining balance being refunded in a timely manner. Please note that any service fees associated with online registration are non-refundable.